In 2011, the Rouzaud family acquired the Dach family property - a beautiful, small ranch in the heart of the Anderson Valley. Over time, pinot noir and chardonnay grapes were planted and the Domaine Anderson winery, designed specifically for small lot production of site-specific pinot noir and chardonnay wines, was built. Vineyard management practices are focused on achieving the highest quality grapes, using sustainable techniques that benefit the health and natural harmony of the vineyard as ... See More a whole. 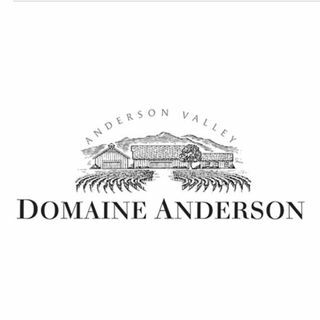 The vineyards for Domaine Anderson wines span the Anderson Valley, from the warmer, up-valley town of Boonville to the cooler regions closer to the Mendocino coast. They are planted on gently sloped knolls, and on steep hillsides. Soils range from rocky, river gravels to the finest clay loams. Wines are produced from 100% estate-grown grapes from our Anderson Valley vineyards, allowing complete control over stewardship of the land. The wines are balanced, and elegant. Both the pinot noir and chardonnay wines are marked by an innate purity and curious depth.